Subcompact Culture is at Drive Revolution today in Portland. The event highlights electric, hybrid, plug-in hybrid, and clean-diesel vehicles. 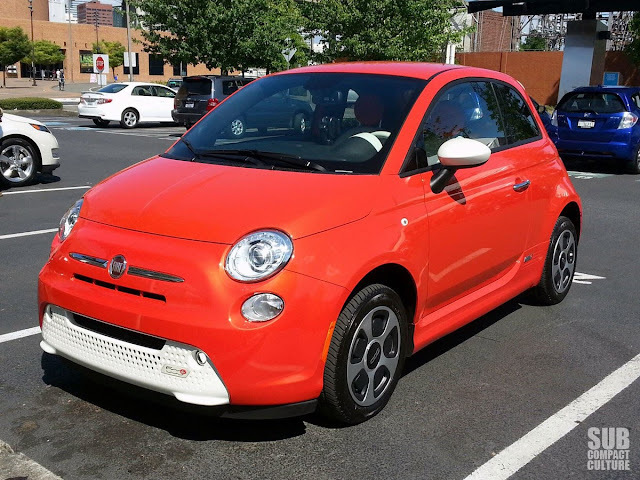 We've had a chance to drive a number of them, including the Fiat 500e above. You can follow today's coverage via our Twitter and Facebook pages. The event, put on by the Northwest Automotive Press Association (of which I am a card-holding member), is being held outside of OMSI (Oregon Museum of Science and Industry) and will be open to the public on Saturday, July 13 from 10am–5pm. So if you're in Portland and looking to check out the latest hybrids, EVs, and diesels, be sure to check it out. We'll have full coverage on Subcompact Culture soon. Stay tuned.